Kampala. Authorities at the World Health Organisation (WHO) have ordered Ministry of Health officials to refund Shs1.2b aimed at improving healthcare services in the country. The money meant for boosting health service delivery chain in the various districts, remains unaccounted for. Sunday Monitor understands that the political leadership in the ministry asked for more time to look into this matter as pressure mounts from WHO over the missing funds. Speaking during a meeting of district health officers and district education officers organised by the Ministry of Local Government in Kampala on Friday, the Permanent Secretary in the Ministry of Health, Dr Diana Atwine, confirmed that “the ministry is being asked to refund Shs1.2b to the World Health Organisation because it has not been accounted for right from the districts.” The PS talked of lack of accountability for funds disbursed to districts to deliver health services and reprimanded district leaders on the abuse of government vehicles. 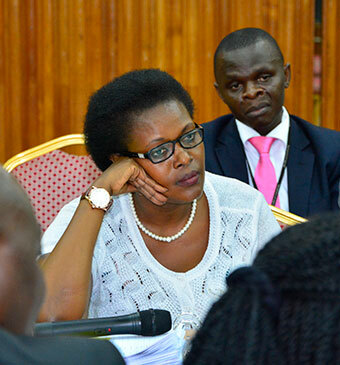 Dr Atwine threatened to recall all vehicles used by district health departments across the country “because they are being seized by politicians and Chief Administrative Officers (CAOs)” and revealed that she had already recalled one vehicle from Kole District. “I have already signed a letter to recall the health departmental car for Kole District because it had been grounded after its battery was removed to be used in another car. I am going to recall more cars because they are not being used for doing health work,” Dr Atwine said. The PS said the car being recalled from Kole District was donated by the Global Alliance for Vaccines and Immunisation (GAVI). She said health service delivery in districts is being hampered by politicians who use the department’s cars to do their errands, adding that Kole district is doing badly in immunisation. “These cars must be recalled and I am not apologetic. So the CAOs must take charge of the equipment and vehicles given to their districts,” she said. The Permanent Secretary in the Ministry of Local Government, Mr Benjamin Kumumanya, who convened the meeting, said the blame for abuse of government vehicles meant for monitoring of health service delivery in the districts should be placed on the CAOs, who he said have for one year failed to declare the status of government fleet in their districts. “About a year ago, we wrote to the CAOs to provide statistics for the vehicle fleet so that we know which district is lacking what vehicle but instead of giving us data, they are quiet,” Mr Kumumanya said. He revealed that currently, the ministry is processing the procurement of cars and motorcycles for production departments for all districts and sub-counties. Mr Kumumanya also emphasised the need for district education officers and district health officers to inspect and monitor schools and health facilities to ensure effective service delivery. The PS asked the local governments to ensure that no more private schools open for business before being fully licensed by the Ministry of Education and Sports. The director of education services in the Ministry of Education and Sports, Ms Kedress Turyagenda, who represented the PS, Alex Kakooza, asked the district education officers to develop strategies for working with key stakeholders to get good results in government schools. 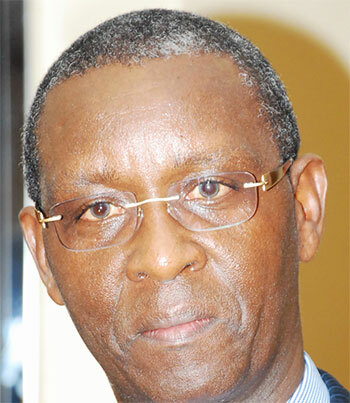 A group of youths have praised the Auditor General’s report for implicating Bank of Uganda in the fraudulent sell of Crane Bank to DFCU bank at a paltry Shs 200bn despite of having assets worth more than Shs 1.5 trillion. 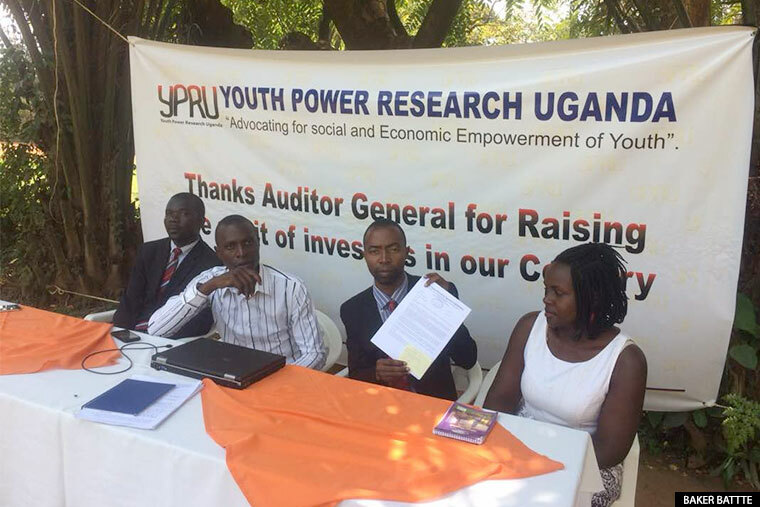 Youth Power Research Uganda Ltd (YOPRU) say they're happy with the Auditor General's report because it gives confidence to potential investors that there are woking institutions in the country incase of any redress. A report sent to parliament last week has mind-boggling revelations such as the payment of over Shs 12 billion to lawyers and consultancy firms that handled the sale without proper procedures. The report also indicates that there were no minutes to show how Bank of Uganda arrived at DFCU bank as the best bidder to buy off Crane Bank that had been under the central bank receivership for three months. “We are happy because our investors have a place to go when their hard earned capital is defrauded by selfish government officials. The Auditor General has delivered on his mandate by releasing a report about the irregular shutdown of Crane Bank by Bank of Uganda - of which we have been repeatedly demanding agencies like the Auditor General and Inspectorate of Government to produce and deliver justice,” Ben Ssebuguzi, the YoPRU leader said. He was addressing journalists in Kampala yesterday. “The more we have rigorous systems that settle disputes for investors, the more we attract investments in our country hence more employment for our youths and more taxes to our government,” Ssebuguzi added. He said their work as YOPRU is to act as a cushion to investors in circumstances where they feel that they have been ripped off. In such circumstances, Ssebuguzi said, they help alert the president and other accountability government departments through writing to them to take action. Sweet power unlimited on the continent of Africa: Total Republican power without Presidential Term Limits. On October 25, the people of Congo Brazzaville voted, in a referendum, to change the country's Constitution to abolish the two-term limit on President Sassou Nguesso. As RICHARD M KAVUMA writes, this is becoming a very African story. In Part 1 of a four-part series examining the origins and future of term limits in Africa, the author says the story is a familiar tale in Uganda, where President Museveni is now in court, accused of stealing last month's elections, 30 years since he took power, and 10 years since Uganda abolished term limits. For four years, the catchphrase of Uganda’s civil society and opposition leaders was electoral reforms. The issue had united usually politically-shy nongovernmental organisations, religious leaders and opposition politicians into a vocal movement that traversed the country preaching clean elections to secure Uganda’s future. Among the key reforms demanded was the restoration of presidential term limits in the Ugandan Constitution. But when parliament, dominated by President Museveni’s National Resistance Movement, voted on the reform proposals, the issue of the presidential term limits had been thrown out. This was a huge disappointment for the broad movement that had toiled through police arrests and tear gas in a bid to ensure that power passes from one leader to another peacefully. Dr Zac Niringiye, a retired Anglican bishop who is now a fulltime political activist, looks back on the development as a lost opportunity. “All dictators have now realized that term limits are their enemy; so, they are trying to do away with them,” Dr Niringiye says. Yet Uganda’s experience with presidential term limits is becoming all too common in Africa. Starting around the early 1990s, several African countries introduced presidential term limits in their Constitutions. They hoped this would avoid a repeat of decades of decadent rule, characterized by civilian dictatorships and military coups. But within a decade, when term limits were supposed to start working, leaders started to fight them. Between 1990 and 2009, some 24 (or 80 per cent) of presidents who reached the end of their tenure toyed with the idea of removing term limits. Of the 24, nine (38 per cent) abandoned the idea. Fifteen drew up legislation to change their Constitutions. And of these 15, at least 12 (80 per cent) succeeded, while only three (20 per cent) failed. In Uganda’s case, the Constitution was amended in 2005. It meant that in 2006, instead of retiring after his second elective term, President Museveni ran for the third term. He has now ruled Uganda for nearly 30 years, and on November 3, 2015 he was nominated to run for his fifth term in next February’s elections. In changing the Constitution to hold onto power, Museveni is not without company. On October 25, President Denis Sassou Nguesso of Congo Brazzaville organized a referendum and Congolese voted for the constitution to be changed to allow him run for a third term. Next door in Rwanda, parliament recently backed a move to amend the Constitution and allow President Paul Kagame to run for a third term. And further down in Burundi, President Pierre Nkurunziza has thrown his country in turmoil after going for “a third term”, which ended with his controversial election in July. A closer look at what happened in Uganda in the three years leading up to 2005 shows that the demise of term limits follows a similar pattern. As soon as (sometimes even before) a leader is elected for his second term, faint noises start filtering in from the president’s circles calling for a change in the law to allow such an ‘excellent’ or ‘rare’ leader to continue being voted in office. The proponents of the change will argue that the president in question had done a lot to transform his country and that it would be madness to lose such a leader. Later, they will argue that how come that countries like Britain and Germany do not have term limits yet they are democratic role models. These small groups will soon become bigger and bolder, often confronting the president and ‘begging’ him to support changing the law so that he can continue serving his country. Meanwhile, the president will do everything to come across as uninterested. As the debate gathers steam, the opposition, civil society organization, independent newspapers and donor countries will condemn the proposal. This will force the president to say that the matter of term limits will be decided by “the people” of his country and they alone. This will work like an invitation by the president for the third term plans to be intensified. While groups supporting the third term are free to operate, the state machinery can often be deployed to counter or block civic campaigns against the removal of term limits. Any serious opponents of the term limits change will be over-whelmed by state patronage, including money or promises of political position. Finally, a law will be drafted and MPs – usually a majority from the ruling party will pass the law removing term limits. Following the 2011 elections, a movement of Ugandan civil society, religious and political leaders started a campaign for the restoration of term limits, launched on March 25, 2012 in the western Ugandan town of Masindi. “The presidential term limits are merely a step to achieve democracy and without them, the president has a blank cheque to rule forever,” Dr Niringiye said at the launch of the campaign, whose secretariat was coordinated by the NGO Forum’s Job Kiija. Activists told the country that term limits were necessary because the longer a regime stays in power, the more it gets preoccupied with regime survival and regime survival comes at a cost. “You have [leaders] becoming experts at corruption, at abusing public service, abusing service delivery, and that has a ripple effect on the ordinary Ugandans in terms of how their taxes are used,” Kiija says. Perhaps not surprisingly, Ugandan police fought the campaign. For the very first meeting, the venue was surrounded and people were forced to stay away. In other towns the meetings were totally blocked, the police claiming that the organizers had no permission to hold the meeting. After more than a year of traversing the country, the activists, including members of the ruling party, teamed up with MPs to draft a bill seeking reinstatement of the presidential term limits. In the end, the issue was incorporated into a series of electoral reforms demanded by the campaign for free and fair elections, which were presented to parliament in May 2015. But parliament, dominated by Mr Museveni’s party, ignored the proposals in a decision three months later. Speaking in Kampala a day before the parliamentary decision, President Museveni told journalists that there was no need for term limits, which US president Barack Obama had called for during his recent visit to Kenya. “If I am in power for a long time being elected by the people, that shows that I am a very popular person doing the right thing and I have no apologies to make to Obama or anybody else,” Museveni said at a joint press conference with his Kenyan counterpart Uhuru Kenyatta. President Kenyatta, who is in his first term and whose country only allows two terms, agreed with Museveni. “We have seen leaders who have been there for a long time being voted out. We have seen leaders who have been elected for a short time also voted out,” Kenyatta said. EKITONGOLE kya URA kyafunye Kaminsona Genero omuggya, Muky. Doris Akol, eyalondeddwa okudda mu bigere bya Allen Kagina eyawummudde oluvannyuma lw’okumalako ekisanja kye kya myaka 10. Ahmed Mukiibi amubuuzizza ku nteekateeka empya z’aleeta. Okoze mu URA emyaka 19, era obadde ku lusegere lwa Kagina ebbanga lyonna, bipya ki by’oleeta? Kirungi nti okulondebwa mu kifo kino, mbadde mu URA okumala emyaka 19. Tuzze tukola ebintu nga tubikolera wamu ne Muky. Kagina, tuzimbye omusingi omulungi, tugenda kwongera ku musingi ogwo tulabe ng’ebintu bye tuzze tukola tubyongerayo mu maaso. Eyo mu maaso tujja kwetunulamu tulabe oba waliwo ebintu bye tulina okwongeramu, oba waliwo ekintu kye tulina okuggyawo nga tukiggyawo, ekikulu kwe kulaba nti ekitongole kituukiriza obuvunaanyibwa bwakyo. Enkola eno yatandika omwaka mulamba oguyise, yaleetebwa oluvannyuma lw’okukizuula nti engeri gye twali tukolamu emirimu gyaffe eky’okusolooza emisolo ku nsalo yalimu ebirumira bingi ebyali bikosa abasuubuzi mu ngeri ey’okubalwanyisa ku nsalo nga balinda ebyamaguzi byabwe okukeberwa n’okugerekerwa emisolo. Twasalawo nti okuva ebyamaguzi byonna lwe bituukira ku mwalo gumu e Mombasa, lwaki tuyimiriza ebyamaguzi mu bifo eby’enjawulo; okupima ebyamaguzi, okupima ttuleera kwe bitikkiddwa, okukebera empapula, okubifunira zibbondi ez’enjawulo e Malaba , Busia, Kampala n’ebirala. Enkola empya eya CST, y’engeri empya ebyamaguzi gye bisasula emisolo gyonna omulundi gumu ku mwalo. Bwe bituuka ku nsalo, biyitawo butereevu ne bigenda mu maduuka oba mu sitoowa za bannanyini byo. Ekimu ku birungi ebiri mu nkola eno, bwe budde empapula z’ebyamaguzi bwe zimala okukolwako nga buvudde ku nnaku 19 ne budda ku nnaku nnya (4) zokka ng’ebyamazi biwedde okukolwako. Kino kirungi eri URA n’abasuubuzi. Enkola eno etwanguyirizza emirimu kubanga abantu baffe bakola ku bantu bangi mu kaseera katono, olw’ensonga nti obudde obwetaagibwa okukola ku muntu omu bubeera butono, n’olwekyo obusuubizi bwanguwa ku ludda lwa bakasitooma baffe. Ekiva mu kino, z’ensimbi abasuubuzi ze basaasaanya mu kuleeta ebintu okukendeera kubanga babeera tebeetaaga kusasula za bbondi, osasula bbondi emu yokka ey’ebyamaguzi byo okuva ku mwalo okutuuka ku sitoowa yo. Enkola ya SCT, terina w’ekwatira ku bunene oba obungi bw’ebyamaguzi. Buli musuubuzi, ebyamaguzi by’aleeta oba bingi oba bitono, byonna bituukira ku mwalo e Mombasa, ne biyisibwa mu mitendera gye gimu. Oba konteyina emu, oba muli bameka mu konteyina emu, kasita ebintu bituuka e Mombasa, bikolwako omulundi gumu ne bijja e Kampala. Abasuubuzi balina okutya nti ebyamaguzi byabwe bigenda kweyongera okubulira ku kkubo kubanga URA tejja kubirondoola nga bw’ebadde ekola mu nkola enkadde. Sisuubira nti ekyo kijja kubeera bwe kityo olw’ensonga nti tulinawo enkola eyitibwa “Electronic Cargo Tracking Systems’, gye tweyambisa nga tuli wamu ne bannaffe mu Kenya. Era tulina entegeeragana eyitibwa Joint Enforcement Team (JET) wakati wa Uganda, Kenya ne Rwanda okulaba nti ebyamaguzi bya Uganda bituuka mu Uganda n’ebya Rwana bituuka e Rwanda nga tweyambisa ssiiru ezissibwa ku konteyina okukakasa nti tewali azeemoolerako nga tezinnatuuka ku bannyini zo. Ekirala ebyamaguzi bino bibeera mu yinsuwa n’olwekyo singa wabaawo akabenje oba obuzibu byonna, Abasuubuzi tebasobola kufiirwa. Abasuubuzi beebuuza lwaki URA tekyafaayo kubatuukamu okubasomesa ebikwata ku misolo nga bwe yali enkola emabega? Emisomo gy’ebyemisolo tubadde tetusomesa buli muntu omulundi gumu wabula tubadde tusalawo nti kati ka tusomesa ab’ebidduka, ababazi b’ebitabo, balooya. Engeri gye tubadde tusomesaamu tugenze twesanga nga si buli omu aganyulwamu n’olwekyo kati twagala emisomo gibeere nga giganyula abantu abatuufu mu kiseera ekituufu. Kye twagala kati kwe kussaawo enkola ng’abantu abalina kye baagala okumanya oba okuyiga babeerako awantu we bagenda ne bafuna amawulire ago gennyini ge beetaaga. Twagala n’okussaawo enkola nga bofiisa baffe bagenda mu basuubuzi gye bakolera babayigirize ebikwata ku bizinensi zaabwe. Abasuubuzi beemulugunya ku miwendo gya ddoola URA gy’ekozesa mu kisolooza emisolo nti eri waggulu okusinga ku bbeeyi eri mu katale. Emiwendo gya ddoola URA gy’ekozesa si y’ekigereka wabula ffe emiwendo tugoberera egibeera mu katale. Okugeza tufuna emiwendo nga bwe gikyusekyuse mu myezi esatu egiyise ne tugabizaamu ne tufuna gye tukozesa okumala emyezi esatu egijja mu maaso. Naye ddoola bw’erinnya mu katale ne ddoola ya URA nayo erina okulinnya, naye oluusi weesanga ng’emiwendo gya ddoola gye tukozesa giri wansi okusinga n’egyo egiri mu katale. Kati mu kiseera kino ddoola ya URA eri ku 2,673/- sso nga mu katale ebbeeyi eri waggulu. Waliwo ebiseera ebimu ddoola ya URA bw’ebeera wansi okugeza nga mu 2010, waliwo ddoola lwe yalinnya n’etuuka mu 3,000/- kyokka nga mu URA ddoola yaffe eri wansi. Abasuubuzi bagamba nti 'netiwaaka' ya URA esusse okuvaavaako ate kibafiiriza ssente. Munaakisalira magezi ki? Neetiwaaka okuvaavaako kisobola okubeera nga neetiwaaka ya URA y’eriko obuzibu era kino kibaawo ng’ebyuma byaffe bifunyeemu obuzibu. ; nga kivudde ku kkampuni ez’ebyumpuliziganya eziwa URA omukutu kwe tukolera nga kino kifaanana nga bw’okuba essimu n’ekugamba nti teriiko kyokka ate bw’oddamu n’ogikuba ng’eyitamu. Naffe mu URA obuzibu obwo tufuna kompyuta zaffe ne zigaana naye ng’obuzibu si bwaffe wabula bwa kkampuni ezituwa omukutu. Engeri eyookusatu, netiwaaka okugaana esobola okuva kw’oyo yennyinni ali mu ‘Internet Café’ oba ku kompyuta ye nga talina ‘Data’ amala oba nga kompyuta ye terina maanyi gamala kumaliriza kuyingiza bintu byonna tusobole okufuna mu URA. Ekyokuna , bwe bumanyirivu kubanga ffenna tugezaako okuyiga okukozesa kompyuta, ffenna tekwenkanya bumanyirivu mu byakompyuta. Kye mulina okumanya nti tewali nkola etuukiridde wabula tukola ekisoboka okulongoosa. Mu kiseera kino URA etaddewo ddoola obukadde 14 n’emitwalo 23 (eza Uganda obuwumbi nga 37 okugula ebyuma ebipya okussaawo kye tuyita ‘Seconds Data Center’, era tusuubira ebyuma bino bigenda kubeera biwedde okuzimbibwa mu December. Abasuubuzi bagenda kufunawo enjawulo mu mpeereza yaffe okutandika n’omwezi gwa March 2015. Tuteekateeka okusomesa abasuubuzi bonna ku pulogulaamu eno nga tujja kusookera ku basuubizi 1,000 tubabangule ku nkozesa ya pulogulaamu eno. Abamu ku bofiisa ba URA balwawo okusalawo ku nsonga ez’emisolo, nga bamanyi ekituufu era kino kikosezza abasubuuzi ne bafiirwa ebiseera ne ssente. Abakozi baffe balina obusobozi n’obuyinza okusalawo, tebeetaaga kusooka kugenda waggulu okufuna olukusa. Obuzibu oluusi bujja ng’ekintu oli ky’amuleetedde kibulamu oba empapula oba nga waliwo ebitatuuse bulungi ofiisa waffe n’abaako by’abuuza. Ekyo bwekibaawo, kiyinza okutwalibwa nti oli agaanyi okusalawo naye oluusi wabaawo oli n’agaana okusalawo, ekyo tukimanyi kiyinza okubaawo era tugezaako abakozi baffe okubagamba bali okuwa bakasitoma empeereza ennungi. Tulina n’essimu ze twassaawo abantu okukubako okutuusa okwemulugunya kwabwe. Essimu ezo ziri: 0417 442222 ne 0800 117000. Waliwo ebigambibwa nti abamu ku bakozi ba URA beeyingira mu kulya nguzi, olina ntegeka ki okumalawo omuze ogwo? Nga bw’omanyi ensi erimu abantu ab’emize gyabwe naye mu URA tulina enkola zaffe n’amateeka ge tugoberera nti singa wabaawo omukozi yenna aloopebwa, tumunoonyerezaako ne tumusimba mu kakiiko akakwasisa empisa era bwe gumusinga tumugoberawo era abakozi baffe bakimanyi. Kimanye nti bw’oba toloopye, tetuyinza kumanya. Enguzi abeerawo wakati w’abantu babiri, agisaba n’agigaba. Waliwo emirindi egimu, nga ssente ezigerekeddwa ziri waggulu, omusuubuzi n’azza omukozi waffe mu kyama, asobole okusasula ssente entono, ekyo kikyamu. Abasuubuzi b’engatto za NIIGIINA beemulugunya ku misolo gya URA nti gisusse okubeera waggulu ekivuddeko bakasitooma baabwe abaali nga bava e Burundi ne Congo okuddukira e Rwanda, emisolo gye giri wansi. Ekiri ku NIIGIINA gy’emiwendo gyazo kwe bazigulira ebweru n’emiwendo gya ddoola. Abamu ku basuubuzi bayinza okuzireeta nga doola eri wansiko ate abalala ne bazireeta nga ddoola eri wagguluko, kuno kw’ogatta ebbeeyi kwe baasuubulidde, kubanga oluusi wabaawo obutoogera mazima ku miwendo emituufu , ne beerabira nti naffe mu URA tukola okunoonyereza kwaffe ne tuzuula emiwendi emituufu kwe tusinziira okubagerekera emisolo. The often-criticised government effort to fight corruption has received a slight nod of approval from development partners. Speaking at the launch of National Anti-Corruption Strategy (NACS) 2014-19 at Hotel Africana yesterday, Geraldine O’Callaghan, the governance and security team leader, at the Department for International Development (DFID), said development partners are increasingly supporting government anti-corruption agencies but a lack of political will from government threatens to undermine it’s positive achievements. “This is a collective responsibility of all arms of the state; Parliament and Judiciary should show their commitment to the fight against corruption,” she said. 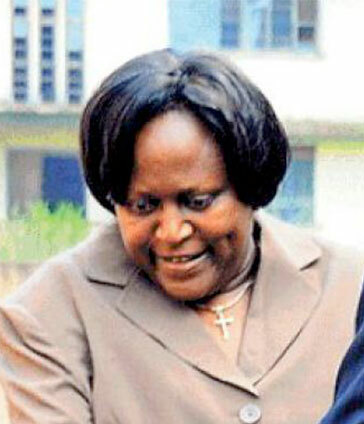 O’Callaghan added that for the three years she had stayed and worked in Uganda, there was a number of issues that have critically proved the government has showed some political will in fighting corruption; which include the setting up of anti-corruption agencies. “The government has also increased funding to anti-corruption institutions, passed the Money Anti-Laundering Bill, and approved the Leadership Code Amendment Bill, these issues have been high on the agenda of government and development partners following the Office of the Prime Minister’s corruption case,” she said. She said the Leadership Amendment Act would help restrain corrupt public officers and also push public officers to declare their assets and unexplained wealth. She said government needs to be commended for passing those laws. Prime Minister Ruhakana Rugunda said the fight against corruption requires a collective effort from the public, private sector and the government. “From the very beginning before the NRM government captured power in 1986, we have been fighting corruption, No. 7 of NRM’s 10-point programme is the fight against corruption. We have put in place institutions and leadership to fight the vice, we also realised that we had some legal weaknesses but we have worked on them,” he said. “Let’s get another way of blaming government for corruption…if Lokodo is corrupt, let it be Lokodo but don’t blame everybody in government,” he said. As the heat from the 2016 presidential and parliamentary elections starts to cool off, the taxman has realised a sh194b deficit for the first nine months and is coming to collect from small business owners. It’s time to buckle up. Import and export volumes declined from January to March 2016 wiping away gains that had been registered in the first six months of the 2015/16 financial year. The Uganda Revenue Authority (URA) must now collect sh3.3 trillion in the next three months. In efforts to collect the largest amount of taxes in URA’s history, Dickson Kateshumbwa, the acting Uganda Revenue Authourity (URA) Commissioner General has urged Ugandans to insist on receipts for all purchases; he explained that small business owners will be required to present copies of receipts issued and received during tax assessment. The tax register had about 780,000 businesses at the end of August 2015 according to the URA. The taxman is looking to expand the tax register in efforts to finance Uganda’s ambitions of joining the league of first world nations by 2040. 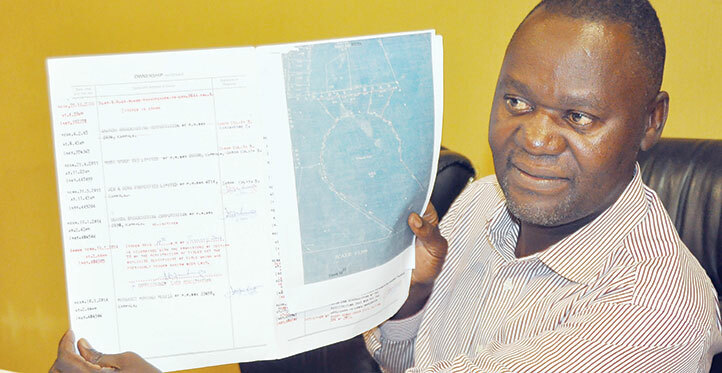 The taxman has silently been mapping out small businesses such as bars, garages, the fishing community, hardware stores and maize mills around the country that may not require a TIN but should pay taxes to URA since 2015. “We have undercover officials that are estimating the average revenues of small businesses by area, and street. We will then formulate tax brackets for them. By mid- October, our officers will be moving to collect taxes from them,” Jolly Kaguhangire, the URA assistant commissioner for service management revealed last year. She noted that the project is expected to deliver taxes from at least 80,000 small businesses by the end of the financial year 2015/16. Though the informal sector employs between 70% and 80% of the total working force, its contribution to taxes is dismal.